Has your rambunctious pet been bringing the outdoors inside to you? Are you losing your mind over the dedicated efforts of your canine interior decorator to leave muddy paw prints on the most pristine of your possessions? It’s high time then to enforce the spotless paw habit in your domain and get your pet some much-needed paw cleaning. There are many tools out there designed to help with this chore, but our favorite is the Paw Plunger by Pet Products Innovations. To maintain cleanliness in your home, cleaning your dog’s feet regularly is a must. All manners of dirt can accumulate and build-up on and in between a dog’s paw pads, particularly if the dog spends a good amount of time outdoors, and you certainly don’t want mud-encrusted paws messing up your floors, carpets, and furniture. Maintaining clean feet is also an important part of keeping your dog hygienic and healthy. Dirt buildup can lead to pet paw infections and cause your pet an unnecessary amount of distress. To prevent this occurrence, it is a good idea to accustom your pet to having their feet wiped and cleaned after every walk or after every outdoor gambol. It is important that your train your dog right from puppy-hood to allow their paws to be handled and checked. You don’t want paw cleaning to turn into a nerve-racking ritual for both your pet and you. 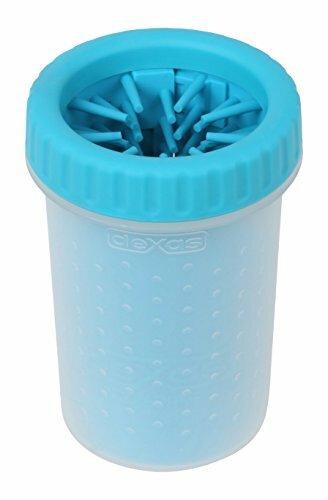 There are various dog paw cleaner devices like paw plunger and paw pad, along with paw wash cleaners, available in the market, but, if you prefer it, you can also improvise at home with whatever cleaning materials you have at hand. The important thing is to get the dirt and mud off your pet’s paws as thoroughly as possible. Cleaning can only require a few minutes and it will prove to be to your pet’s benefit longer. Why Should I Clean My Dog’s Paws? Good health is paramount for both you and your pet, and this means you need keep dirt and the germs that inevitably come along with it at bay as much as you can. If you and your dog lead an active, outdoor existence, your pet is going to inevitably end up with dirty paws, and even, on occasion, with scratches or cuts on their paws. If you leave off cleaning your dog’s paws, particularly in the latter case, infections can happen and lead to bigger health problems that might even hamper your dog’s walking abilities. You can save yourself and your pet a great deal of trouble, not to mention vet bills, if you make paw cleaning a regular part of the daily canine grooming ritual. Keep infections at bay and keep your pet in good condition. The first step in cleaning your dog’s paws is, of course, training your dog to be completely okay with having their paws handled. Ideally, you should start this training when the dog is still a puppy, but it is possible to train older dogs as well to get accustomed to having thair paws examined and clean. You will need to be extra careful with older dogs though and, depending on the individual dog’s temperament, it could take several weeks or even months for the dog to become relaxed enough to offer you their paw when asked. Don’t worry too much about how long it takes. Patience is necessary in dog training, and the end result, which is getting the dog to trust you, is far more important in the long run. You will need to proceed gradually in this training, to avoid causing the dog alarm and to prevent them from developing a dislike for the entire procedure. Use treats that your dog loves and give one to the dog every time they let you touch their paws without flinching, backing off, or showing any signs of fear or aggression. Once they let you hold their paws, proceed, with treats, to examining the paws. When they let you examine their paws without any problem, you can attempt, again with treats, to clean the paws. Some dogs may shy away from the cleaning materials you use, so you will need to introduce those gradually too, so that the dog understands that these materials aren’t going to hurt them in any way. By dispensing treats and remaining calm yourself, you will soon get your dog to associate paw handling to something good that gets them treats, and will allow you to get on with the cleaning without any hassles. Be sure to always handle the paws gently and to clean them with care. 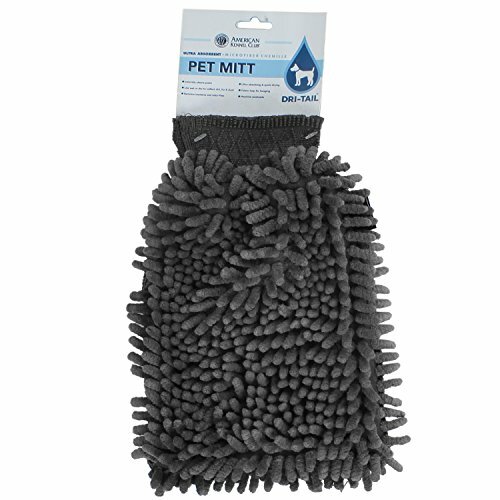 You can find a variety of cleaning equipment for cleaning your dog’s paws in the market. 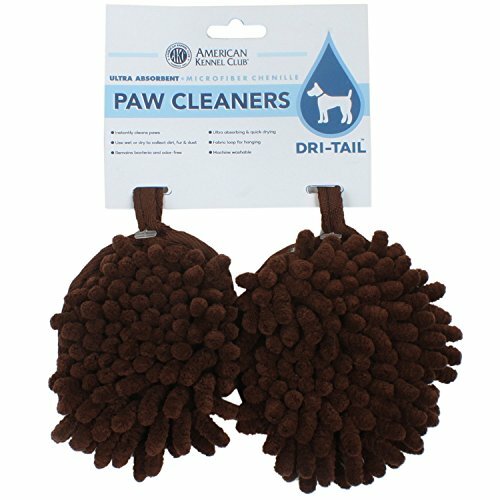 Should you get one of these dog paw cleaners, or use what is at hand? Well, it depends. Dog paw cleaners are often inexpensive and affordable and, if you can, you should consider keeping a ready supply at hand. You can also, however, improvise with cleaning materials you already have at home, like cloth gloves, towels, napkins, mugs, buckets, brushes, and so on. Once you have accustomed your puppy or adult dog to the habit of paw cleaning, the cleaning procedure to follow is pretty straightforward and simple. Wipe off or wash away the mud or dirt with soapy water and then wash the paw again with clean, warm water. While washing, be sure to clean between the toes and pads and scrub the nails. If your dog has excess hair and overgrown nails, you may need to clip these to keep the paws well-groomed. Clipping nails can be a bit cumbersome and you have to be careful you don’t cut the dog and draw blood. If you are leery of attempting this yourself, it might be best to get it done by a professional dog groomer. Licking their paws is not an uncommon habit for dogs. They do it when they groom themselves, to alleviate boredom, or to relieve stress and anxiety. This is normal. If done in excess, however, it can turn out to be a problem. Constant licking and biting in the same area can bring about an inflammation and lead to further health issues. Are the paws clean, or do they need to be cleaned? 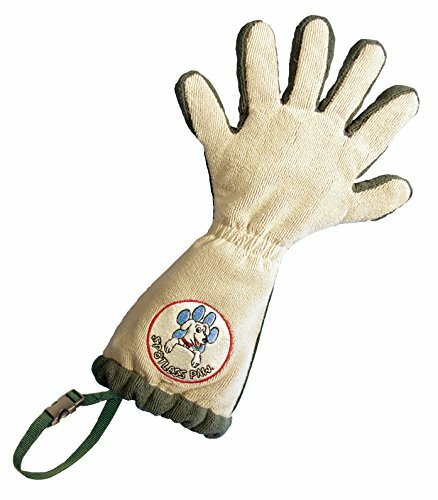 If the dog is trying to dislodge dirt or mud, get out your dog paw cleaner and get those paws cleaned at once. That’s taking care of that problem right there and then. Is there something stuck to the pad or in between? After long walks or outdoor excursions, your dog may have got seeds, burrs, or other matter stuck to the hair in between the paws, and these can cause irritation. Make a habit of checking your dog’s paws after every walk and remove the irritants before they become a problem. Is there any injury or inflammation? Your dog may have cut or injured their paw while they were outdoors. Check the paw and treat the wound as needed. Getting your pet some dog footwear might prevent these type of injuries and also help in keeping the paws clean. Are there mites or fleas? These nasty critters are reason enough to examine your dog’s paws regularly. They tend to latch on between the toes or the pads, and, if left unchecked, can lead to some severe health issues. Remove them at once and discourage their return with flea and tick control treatment, regular shampooing, oatmeal baths, or coconut oil application. Can it be an allergy? If it is an allergy, you can check with your vet for the appropriate treatment, and also modify your pet’s diet and see if that can bring about an improvement. Is it psychological? If the licking appears to be psychological in nature, you can try modifying your pet’s behavior. Interact with them more, take them out more, and get them mentally stimulating toys that can relieve their boredom and distract them from going continually at their paws. cleaner, this one might be a good fit. a few times, if the paw is very dirty to begin with. handled, inserted into plungers, and cleaned in this manner. 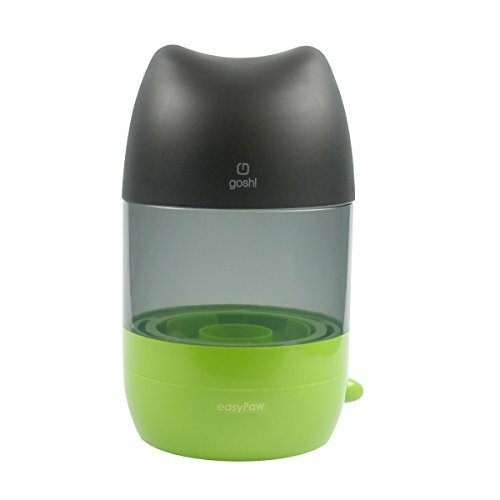 time-saver as it can let you clean up to eight paws in one filling. achieved, cleaning should be a breeze. dry the paw cleaners afterwards in the washing machine. 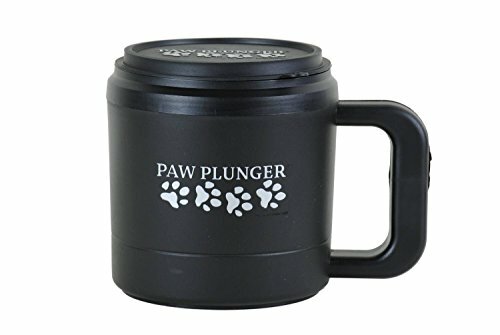 The Paw Plunger looks like a coffee mug and works well for small to medium-sized dogs. You will the plunger with clean water, place your pet’s paws, one by one, into the plunger, and then twist the plunger about the paw. 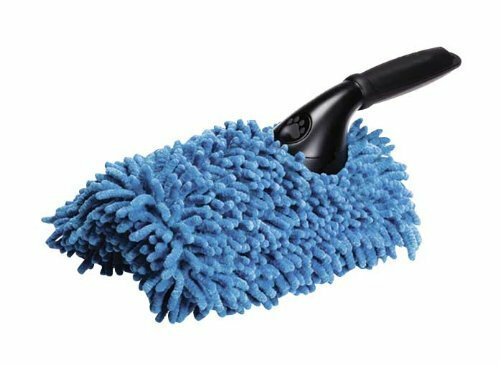 The twisting action will cause the bristles on the inside to scrub at the paw and clean away any accumulated dirt. You may have to change the water several times if your dog has recently gambolled in a muddy paradise, but the manufacturer recommends that you leave off using detergent or any other chemical cleaner. 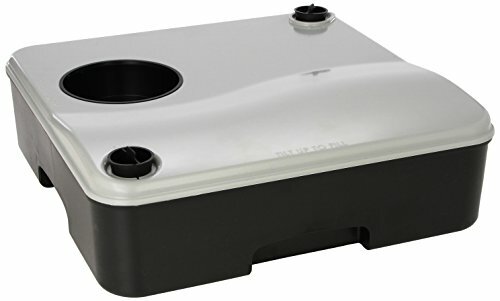 Plain clean water can do what’s needed. The paw plunger is available in three colors. interior will not be getting modified anymore with mud decorations. both keeping your pet healthy and you stress free.